Has your car let you down ? Need one in a hurry until your new car arrives? The Flexi-Rent solution is designed to fulfill your requirements and keep you and your business moving. It provides you with the flexibility to react to market conditions and gives you the freedom to hire the cars and vans you want for as long as you want, but without the long term commitment. For flexible car hire Yorkshire and the UK, look no further! 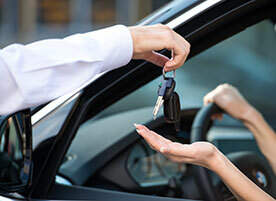 Long Term Car Rental……with flexibility of Short Term! Flexi-Rent fills the gap between short term rental and contract hire/long term car rental providing a cost effective and flexible solution to changing vehicle requirements. Flexi-Rent offers competitive rates for long term car and van rental based on 1-12 months periods. Our long term car rental solution is ideally suited for companies who have staff on probation or to fill the gap while they are waiting for their company cars and vans to be delivered. This product gives companies total flexibility to terminate their car hire without penalties. Ideal for companies who do not want the commitment of long term contracts. Whether you are starting out in business or a fleet manager requiring extra vehicles for staff…..long term car rental could be the ideal solution for you.